The humble terraced house inhabited by the Prime Minister is a key symbol of British democracy. 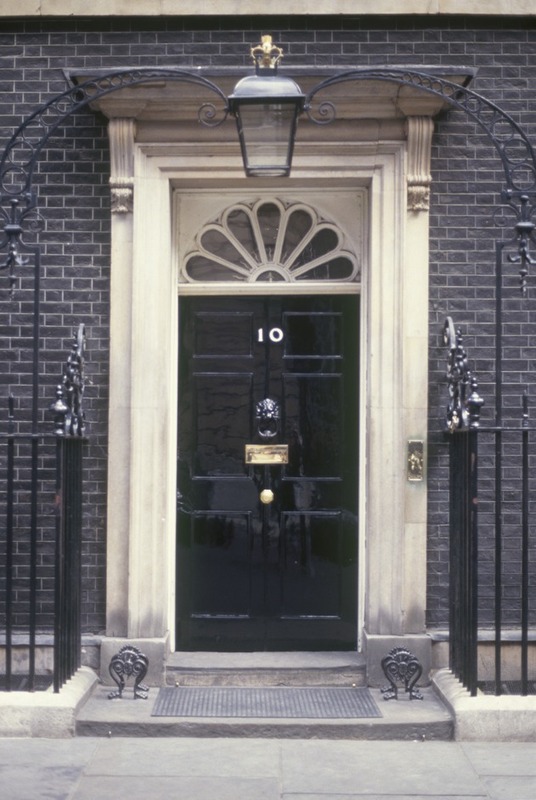 Other countries may give their presidents grand mansions, but the only sign that this simple black door belongs to Britain's leader is the policeman standing outside, and the barriers at the end of the road. Behind the door, things are, by all accounts, considerably less humble. Grand staircases and a network of corridors join half-a-dozen structures in Downing Street to make a large complex of offices, conference rooms, and family homes for the Prime Minister, and the Chancellor of the Exchequer. The other permanent role in Downing Street is the post of "Chief Mouser to the Cabinet Office", currently held by a black-and-white cat called Sybil, successor to the beloved Humphrey, a former stray who served under four different Prime Ministers. What are the best dining options near 10 Downing Street London? 10 Downing Street gyms, sporting activities, health & beauty and fitness. The best pubs near London 10 Downing Street. 10 Downing Street clubs, bars, cabaret nights, casinos and interesting nightlife. Where to have your meeting, conference, exhibition, private dining or training course near 10 Downing Street. From cheap budget places to stay to luxury 5 star hotels see our special offers for 10 Downing Street hotels, including Club Quarters Trafalgar Square from 77% off.